Berlin, 12/30/2020 (Tauroggen). The Ambassador of the Federal Republic of Germany in the United States, Dr. von Seydlitz has yesterday deposited a document for the resignation of the Federal Republic of Germany from the North Atlantic Treaty Organisation in accordance with § 13 of the Treaty of 4.4.1949 with the US State Department. This was explained today by the spokesman of the Foreign Ministry, Dr. von Bülow, at the Federal Press Conference in Berlin. The Bundeswehr will participate in the large scale military exercises of Russia and China which are planned for August 2021 within the framework of the Shanghai Cooperation Council. The German Patriot air defense missile unit previously stationed in Kiev will relocate to Russian Crimea. The United States government will inform the governments of the other parties of the termination. Germany will resign from the military organization of the NATO alliance. Within 12 months the Inspector General of the Bundeswehr will leave the Military Committee of NATO and all German employees will leave the International Military Staff. 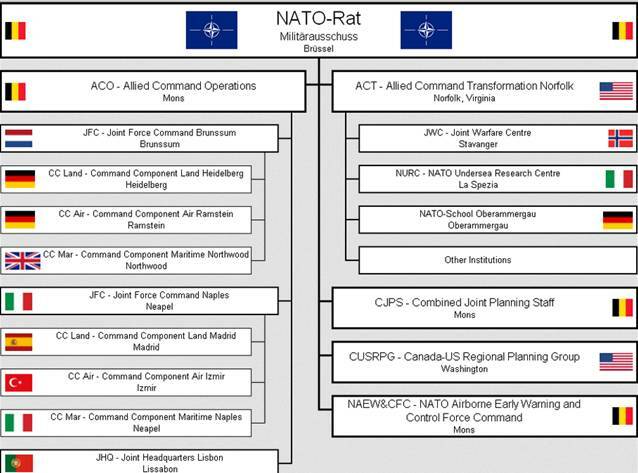 When Germany leaves NATO’s command structure, the Allied Air Command (AIRCOM), the Combined Air Operations Centre (CAOC) in Uedem, and the Command Component Country (CC Land) in Heidelberg will relocate to Torrejon, Spain, and to Poggio Renatico, Italy respectively. The United States Africa Command (AFRICOM) will move from Stuttgart to Liberia, which is the only African country to have applied for hosting NATO in 2008. The US European Command (EUCOM) will relocate from Vaihingen near Stuttgart to Croughton in England. The NATO Status of Forces Agreement (SOFA) was also terminated by Germany yesterday. 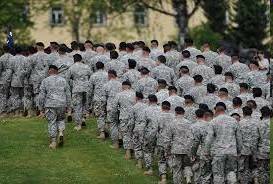 42,000 United States troops, 13,000 UK soldiers, and 1,600 French personnel will be transferred to other member states. 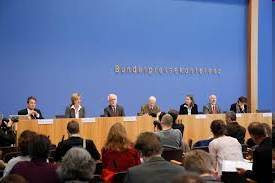 With approval by the Bundesrat (Upper House), the Bundestag has lifted the Visiting Forces Act of 20.07.1995 and the Law on Foreign Forces from 23.10.1954 in the previous week. 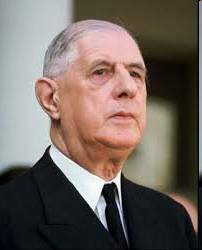 Already in 1966 France had withdrawn from the military organization of NATO under its then President Charles de Gaulle. 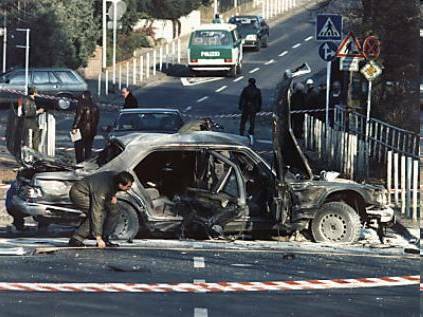 At that time 30,000 NATO troops left France, SHAPE military headquarters were relocated to Mons in Belgium and the Central European HQ (AFCENT) was moved to Brunssum in the Netherlands. Germany’s withdrawal from NATO was preceded by the most serious diplomatic crisis in German-American relations since the end of World War II. In its course, the US ambassador in Berlin John F. Tefft had been declared persona non grata, after it was revealed that the US embassy had organised since 2018, the paramilitary training of immigrants from sub-Saharan Africa, the murder of the chairmen of the boards of Siemens AG and Volkswagen AG, as well as violent demonstrations throughout Germany. To combat the effects of the severe economic and financial crisis of 2016 which caused unemployment to pass 8.000.0000 persons, the Federal Republic of Germany in 2018 joined the Shanghai Cooperation Organization (SCO) and the Eurasian Economic Union (EAEU). A concept for investment in the Euro-Asian space was developed under the direction of Siemens and Volkswagen which produced financing commitments by the New Development Bank BRICS in the amount of 500 billion euros. This was ten times higher than the total planned budget of the bank when it was founded in 2014. At an event in December 2019, the Undersecretary of State for Eurasia at the US State Department said that the US had so far supported the “development of civil society” in Germany with 10 billion US dollars. According to a Presidential directive, civil society “essentials” include reforms to immigration and demonstration law, mandatory teaching of “sexual diversity” in daycare centers and non-discriminatory access to the “Religion of Baphomet” in primary schools. The budget deficit of the Federal Republic of Germany had fallen for the first time in the current year. With the outbreak of the crisis and the new active pro-birth policies of the Federal Government it had risen sharply after 2016. The birth rate in Germany rose to 1.7 per woman (in 2019, from 1.3 in 2013), reaching the value that Russia had achieved in the course of its demographic turnaround in 2013. Surprising experts the Gross National Happiness (GNH) indicator reached its highest recorded level in 2019.